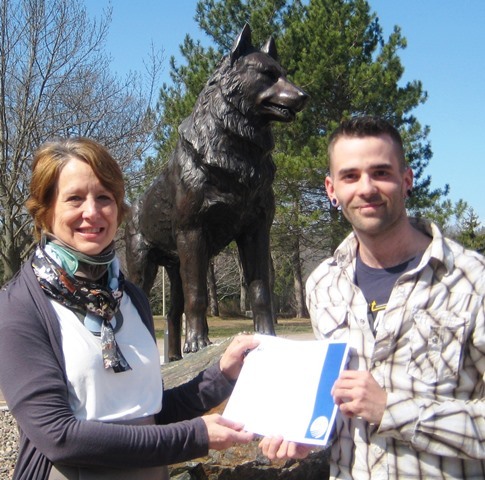 The Michigan Tech Distinguished Teaching Award is presented annually. Since 1982, an award has been given in each category: 1. Associate Professor or Professor and 2. Lecturer, Professor of Practice, or Assistant Professor. Based on more than 50,000 student rating of instruction responses, 12 finalists have been identified for the 2018 awards. Out of the 12 finalists, 4 of them are from the Department of Biological Sciences! This is the second year in a row that Brigitte Morin has been nominated for the award. She instructs foundation courses in our Medical Laboratory Science program and has also created a popular new course on the practice and science of yoga. Stephen Techtmann teaches environmental and advanced microbiology courses. Ebenezer Tumban teaches our general microbiology and virology courses. Amy Marcarelli teaches a variety of ecology courses and created a new professional development course for graduate students in science. The William G. Jackson Center for Teaching and Learning seeks input for the finalists. Comments on the nominees are due by Monday, March 26, and can be completed online. The process for determining the Distinguished Teaching Award recipients from this list of finalists also involves the additional surveying of their spring classes. The selection committee makes the final determination of the award recipients. The 2018 Distinguished Teaching Awards will be formally announced in May. Professor Emerita, Janice Glime, honored by International Association of Bryologists. The International Association of Bryologists dedicated its most recent issue of Bryophyte Diversity and Evolution to Janice Glime, professor emerita of biological sciences. Bryophytes, seedless plants without specialized water-conducting tissues, include mosses, liverworts and hornworts. In addition, two new species are named for Glime in the issue. Read the issue here. The book is also available through Digital Commons through the Michigan Tech library. Four students who are entering Michigan Tech this fall to pursue health-related careers have received $8,000 Making a Difference scholarships from the Portage Health Foundation. Another 10 entering first-year students received $1,000 awards. The students are from Houghton, Keweenaw, Baraga or Ontonagon counties. The 14 recipients of the 2017 awards have an average GPA of 3.81. Their interests reflect a broad spectrum of majors including biological sciences, exercise science, biomedical engineering, computer engineering, medical laboratory science and mechanical engineering. The scholarship winners flip Michigan Tech’s male to female ratio of 3:1, with 10 female and 4 male recipients. The scholarships are part of a Michigan Tech-Portage Health Foundation partnership established in 2015 to support health-related research and education, jobs and community health. The scholarships were first awarded in 2016. “The awards reflect the high-caliber student talent we have locally, thanks to exceptional schools, outreach programming and parent support,” says Jodi Lehman, director of foundations at Michigan Tech. “We know that student talent is key in supporting the success of college peers and inspiring K-12 students to pursue health science and engineering pathways. 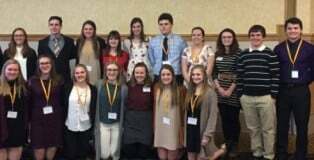 At a dinner for finalists, the scholarship recipients heard from current students also supported by the Portage Health Foundation through the Undergraduate Research Internship Program (URIP). Both speakers shared their internship experiences and career goals. Biology student Kevin Nevorski received $5,000 in funding through the Michigan Space Grant Consortium (MSGC), sponsored by the National Aeronautics and Space Administration (NASA) for the 2017-18 funding cycle. Nevorski worked with Amy Marcarelli on this project, “Nitrogen in Space: An Examination of How Nitrogen Cycle Processes are Related in Streams and How Those Processes are Influenced at Multiple Special Scales”. Kevin earned his MS and BS from Central Michigan University before joining the Marcarelli lab in 2016 as a PhD student as part of the NSF CAREER project. NASA implemented the National Space Grant College and Fellowship Program in 1989 to provide funding for research, education and public outreach in space-related science and technology. The program has 52 university-based consortia in the United States and Puerto Rico. As an affiliate of the Michigan Consortium, Michigan Tech has been an active participant in MSGC for approximately 20 years. MSGC funding is administered through Michigan Tech’s Pavlis Honors College. For more information, contact Paige Hackney in the Pavlis Honors College at 7-4371 or visit the MSGC website. The William G. Jackson Center for Teaching and Learning seeks input for its annual Distinguished Teaching Awards, which recognize outstanding contributions to the instructional mission of the University. Based on more than 50,000 student ratings of instruction responses, ten finalists have been identified for the 2017 awards. The selection committee is soliciting comments from students, staff, faculty and alumni to aid in deliberation. Michigan Tech Alumnus Robert (Bob) Martin recently received the Hologic Joseph Public Health Award at the American Society for Microbiology’s recent Microbe 2016 meeting in Boston. In addition to earning his mater’s in Biological Sciences from Michigan Tech, Martin was the head of the U.P. state health lab, located on the Tech campus and also taught medical bacteriology. 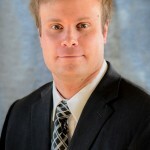 According to the ASM the Hologic Joseph Public Health Award “Honors a distinguished microbiologist who has exhibited exemplary leadership and service in the field of public health.” Martin is also a member of Michigan Tech’s College of Science and Arts Academy. 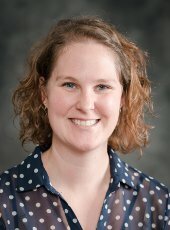 A Michigan Tech professor has received a prestigious national recognition. Ebenezer Tumban (Bio Sci) has been named a National Academies Fellow in the Life Sciences for the 2016-17 academic year by the National Academies in Washington, DC. In a letter to University President Glenn Mroz, Barbara A. Schaal, vice president of the academy and chair of the division of earth and life sciences, said the honor was bestowed upon Tumban because of his selection and “enthusiastic participation” in the 2016 National Academies Northstar Summer Institute (NANSI) on Undergraduate Education in Biology held last month at the University of Minnesota. According to the letter, representatives from 15 U.S. research universities met in Minneapolis for three days of workshops, discussions, intensive teamwork and analysis focused on enhancing undergraduate education within the themes of active learning, assessment and diversity. Tumban expressed gratitude to Bruce Seely, dean of the College of Sciences and Arts, Provost Jackie Huntoon and Chandrashekhar Joshi, chair of the Department of Biological Sciences, for providing the financial support needed to attend the workshop. “Dr. Tumban is a phenomenal instructor who truly enjoys teaching; he is an active researcher who is engaged in developing new vaccines against human papilloma virus and he is a delightful colleague who is always willing to help others,” Joshi says. Joshi adds that when the opportunity came for Tumban to attend the NANSI workshop, he enthusiastically volunteered. “So far, four other faculty members in biological sciences and one faculty member in chemistry have previously participated in similar NANSI workshops, and they have already incorporated what they learned into their regular classroom teachings,” Joshi said. In her letter to Mroz, Schaal said, “by sending participants to the National Academies Summer Institute, your institution is at the forefront of improving undergraduate education that is so essential for preparing both future scientists and scientifically literate citizens. Robert Larson, PhD student in Biological Sciences, has been awarded the 2016 AAS-Lundbeck Research Fellowship as announced on their website. 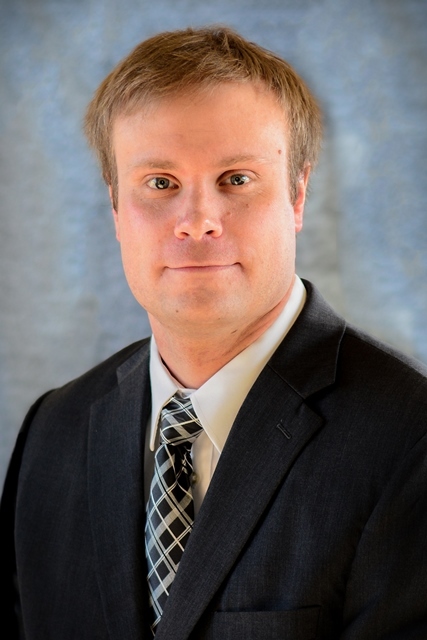 His research is titled ” Targeting Cardiac Sympathetic and Renin Angiotensin Systems with Ang-(1-7) in Hypertrophic Cardiomyopathy” which will be completed in the Department of Internal Medicine at The University of Iowa Carver College of Medicine with Dr. Mark Chapleau. Hypertrophic cardiomyopathy (HCM) is a relatively common inherited disease characterized by cardiac hypertrophy (enlarged heart), fibrosis, and dysfunction. Patients with HCM exhibit abnormal neural reflex control of blood pressure and heart rate, and are at high risk of developing heart failure, arrhythmias and sudden cardiac death. Current treatment strategies primarily target symptoms and not development of the disease. We propose a novel treatment strategy with Angiotensin-(1-7), a peptide known to diminish sympathetic nerve activity and the pro-fibrotic and pro-hypertrophic actions of angiotensin II. We hypothesize that a combination of sustained inhibition of cardiac sympathetic activity and inhibition of adverse cardiac actions of angiotensin II will act synergistically to prevent or reverse cardiac fibrosis, hypertrophy and arrhythmias in HCM. We will test this hypothesis using an established mouse model of HCM, in which a human mutation is targeted selectively to the heart. Robert will be completing his degree under Kineseology and Integrative Physiology Adjunct Professor Qing-Hui Chen this summer.